It was big enough for our grill. Fits my grill perfectly. No more rust! Purchased for my 3 burner weber. It fits just fine. Material is somewhat thin, but overall i would recommend. 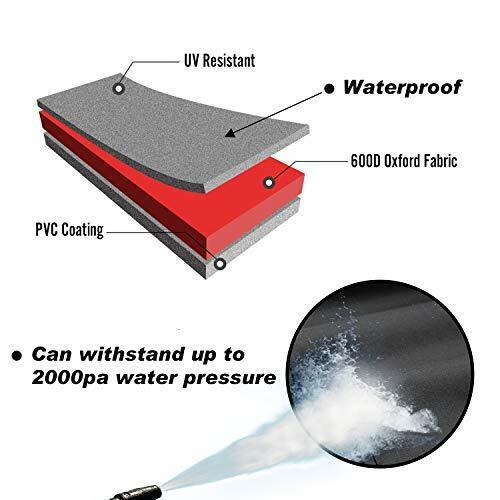 I love it, it is pure waterproof and weather proof. Love it. 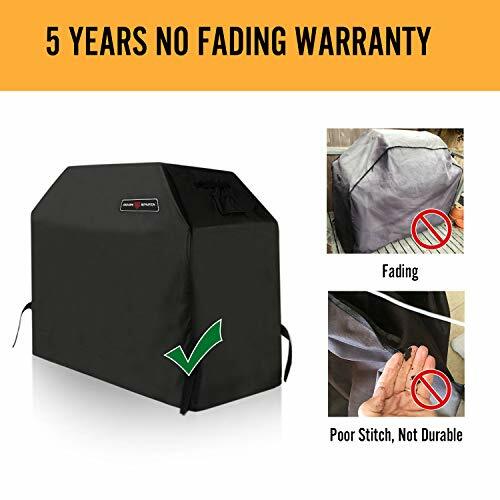 A pretty good universal gas grill cover. 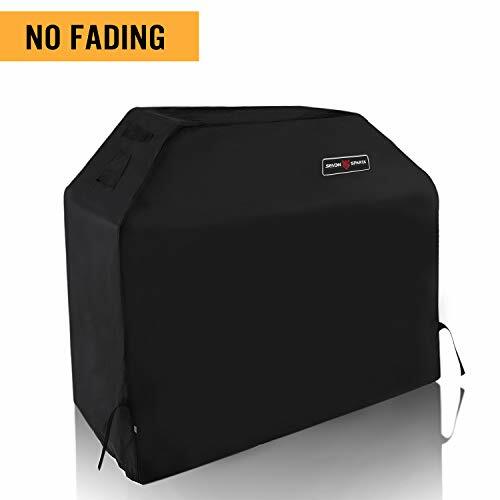 This seems to be a nice generic cover for gas grills. I have a Weber q300 and I ordered the size that is closest to the dimensions of my grill. My first impression is that at is a little thin, but I think it will be durable enough. Time will tell to see how it holds up in inclement weather. 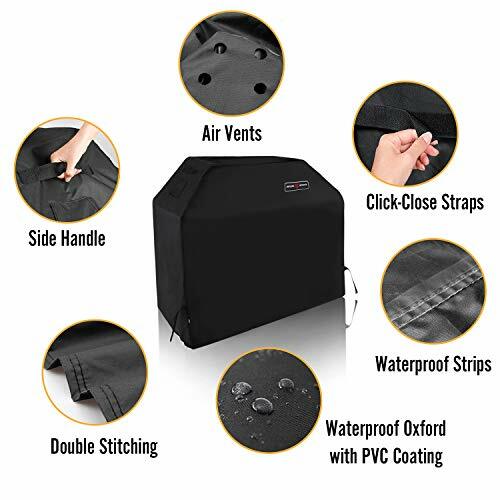 It is nicely designed and has velcro strips on the bottom to keep it secure to your grill. It also has what appeared to be pockets on the top but I think they are actually to lift the cover straight up with your hands. 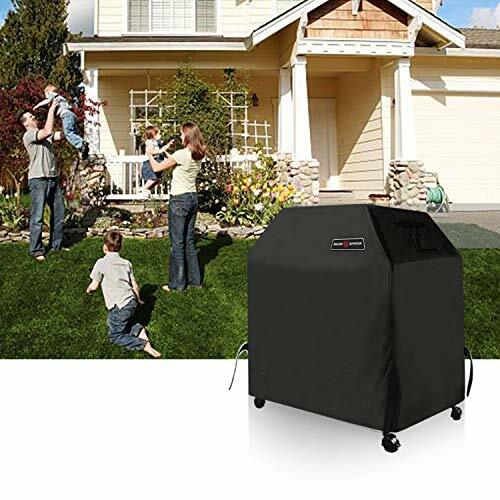 My only complaint is that it hangs a little low and touches the ground, but that is to be expected of a universal cover which has to fit many different types of grills. All in all it seems to be a pretty good product. 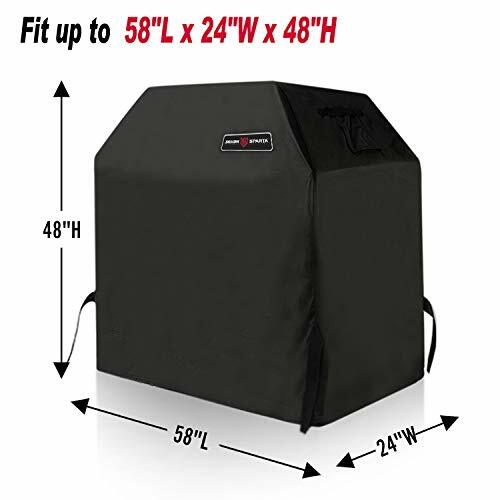 I looked up the dimensions of my Weber Genesis grill online and decided that the 58" version of the grill cover would be the one with the most snug fit. This, in fact, is a lot bigger than what I was expected. I have a Weber Genesis 3 burner grill and it is probably 10" too wide. 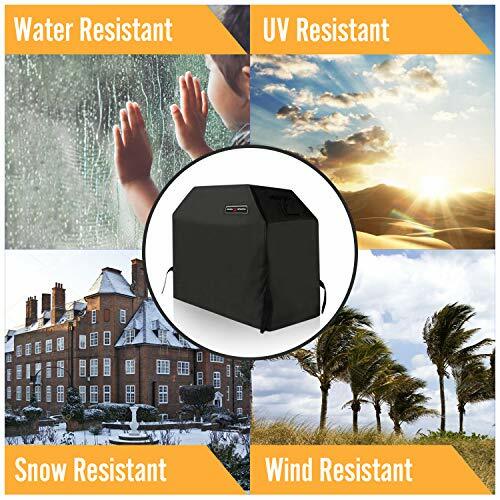 It will work for what I need it for, I just hope the wind doesn't destroy it like it did to my previous heavier duty grill cover.